This classic full-sized Radio Flyer Wagon has become a symbol of American childhood. 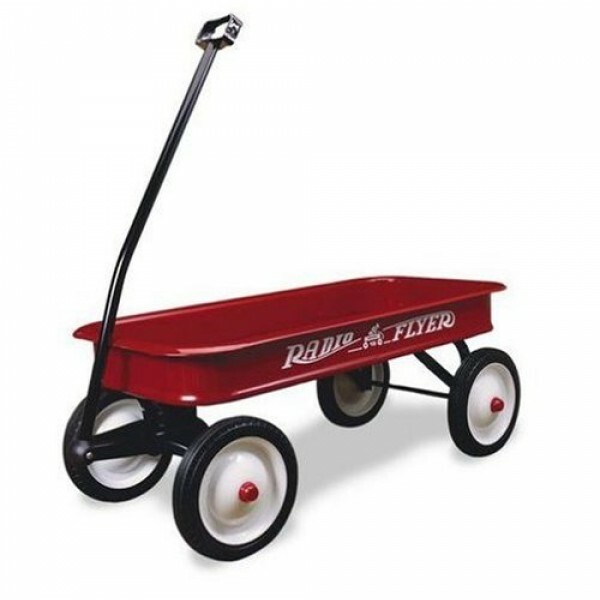 It's the little red wagon that's been in continuous production for over 70 years. Features full-sized all-steel seamless body with no scratch edges, extra-long handle that folds under and steel wheels with semi-pneumatic rubber tires. Body measures 36" x 17.5" x 4.5".